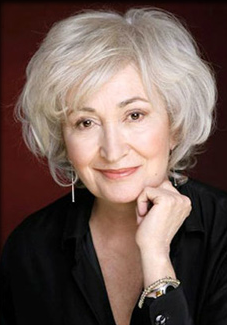 A versatile actress, Jennifer Rhodes’ worked in theater, film and television for four decades. She grew up in Rosiclare, Illinois, a small town on the Ohio River. In television, she is best known for playing Penny Halliwell on The WB hit series “Charmed” (1999-2006). Although not a regular, she is the only actress to have guest-starred in all eight seasons of the series. She also appeared on the Fame, “L.A. Law”, “Designing Women”, “ER”, “Murphy Brown”, “Friends”, “Ally McBeal”, “Gilmore Girls” and many more. Rhodes also appeared in the films “Slumber Party Massacre II” (1987), “Heathers” (1988), “Night of the Demons 2” (1994), “Skeletons” (1997) and “Let the Game Begin” (2010).